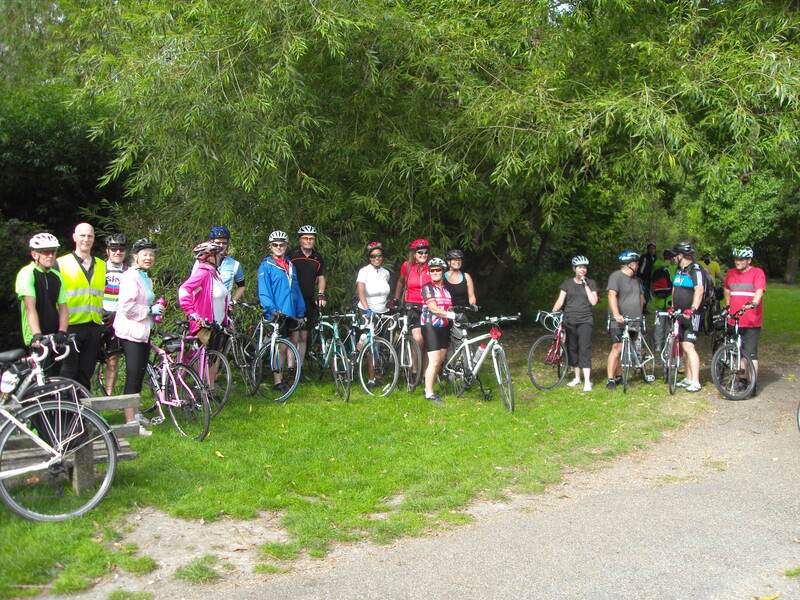 ← Penge Cycle Club – Rides and Events! 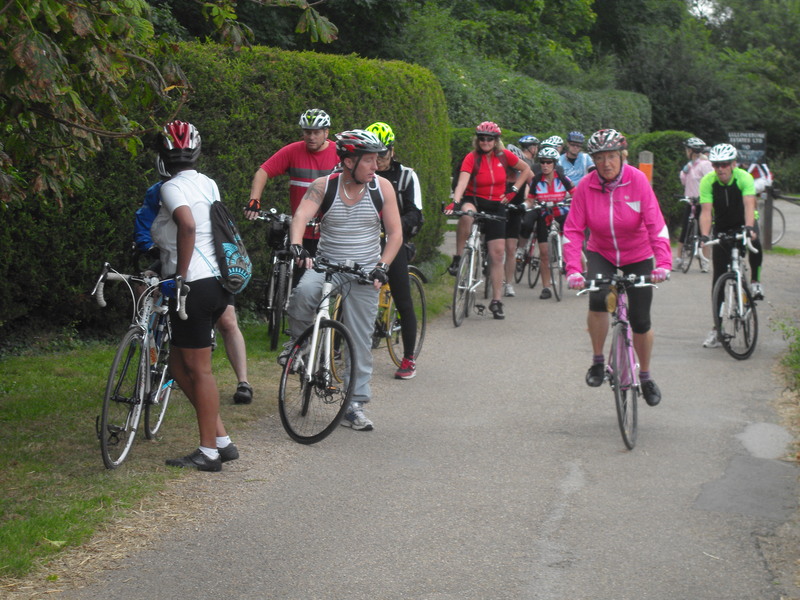 Today Eve led the Woodpecker Ride from Orpington Station. 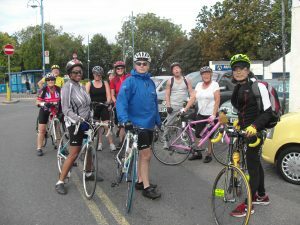 The start time was 10 am and under a light grey sky twenty of us gathered. Steve ‘Sticky’ Bunn and Ben were Eves little helpers on this outing. There were a lot of new faces today and varying ability levels. 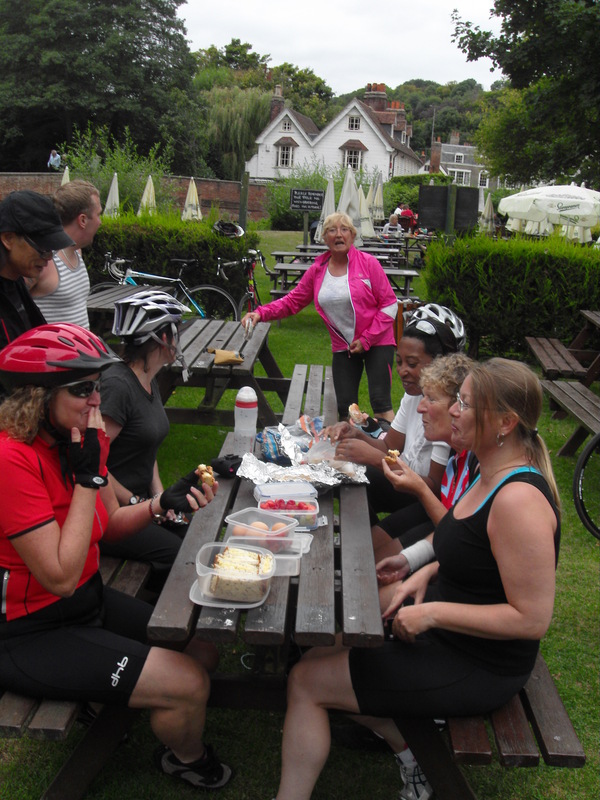 Eve gave her final briefing, stressing that she would cycle at a pace which everyone could manage. 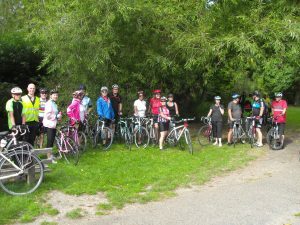 If ride members wanted to overtake on the uphill sections then that would be fine, on the understanding that on arrival at the tops of the hills they would wait for everyone to catch up and so our ride would finish with us all together, as we had started!! Eve led off towards Green Street Green. After about three hundred yards we were caught up by another cyclist who had come to join the CTC ride which had gone from the other side of the station also at 10 o’clock and he had missed them we welcomed him into our group and now we were twenty one. We joined the shared footpath along side the A21 heading generally South and East towards Pratts Bottom. Turning right before Hewitts roundabout we took the quiet lanes up to Halstead Village, then past the pretty Rose and Crown Pub before the long freewheel down Otford Lane to the top of Polhill. 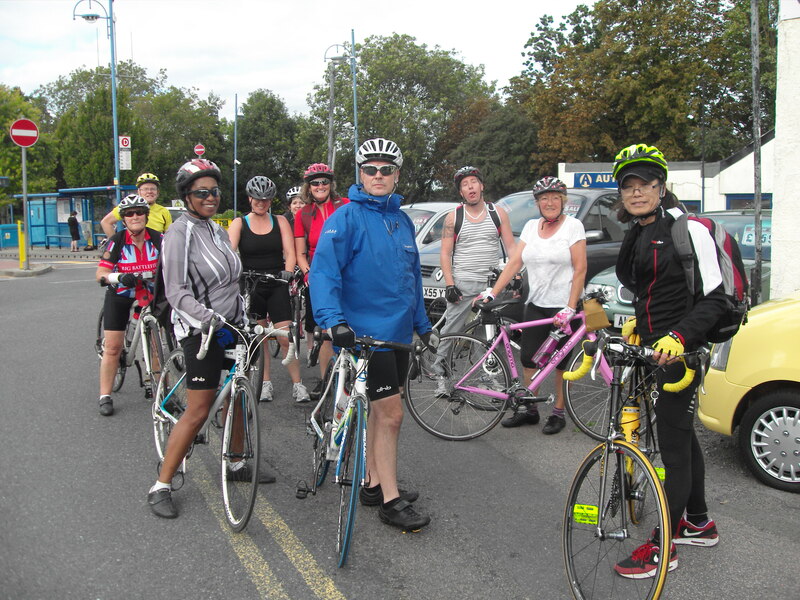 Crossing the major and busy A224 Eve skilfully led us to the top of the much more cyclist friendly Old Polhill. Eve gave us a few words of warning before we set-off on the long and steep ride down Old Polhill under the M25 to Shoreham. What a pretty little village Shoreham is. There was too much traffic to take pictures on the road bridge where we wanted to, so we cycled to the footpath and took our pictures there and then followed the riverbank on foot. ‘Cyclist Dismount’ cautioned the signage; we did and one local householder came out to ensure we did too!! 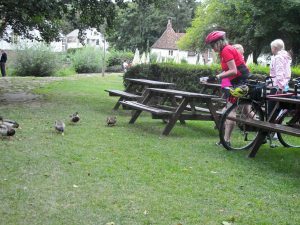 At the far end of the footpath we remounted and rode on passing the lavender farm shop without stopping on this occasion and arrived at our first break and cake stop – the Lullingstone Visitor Centre. After a cake and a cuppa we were ready to restart. ‘Through the fields’ said Eve, just for a short way this will bring us out in front of theLullingstoneCastle. The rough track alongside the edge of the field was in good nick and we were soon back onto metalled road outside the castle. We didn’t stop. At Eynsford we turned towards Farningham where we didn’t go into the village (saving this treat for later in the outing). 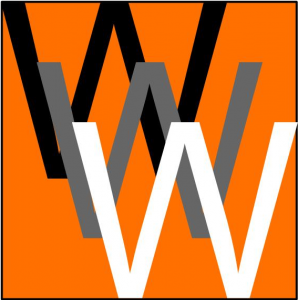 We headed to Horton Kirby and then via Speedgate Hill through Fawkham Green to Brands Hatch where we could hear the scream of powerful engines. Past Brands we reached West Kingsdown where we turned towards the head of Knatts Valley. 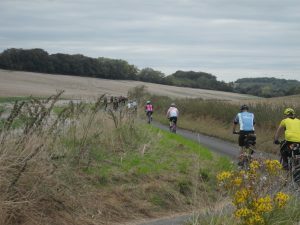 This is the best cycling road inWest Kent that I know of. 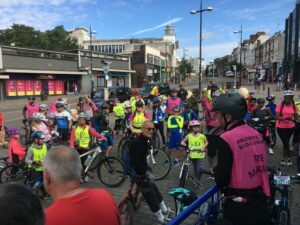 As one of our party commented to another ‘This is what cycling is all about! !’ and I have to agree with him. Miles and miles of lovely downhill is the reward for the long ride up toWest Kingsdown. Knatts Valley emerges back at Farningham and this time we did go into the village and to the Lion Hotel. We are becoming regulars here. We sat in the garden by the river and ate our picnic. Some folk had taken the trouble to do a quite elaborate spread. Sticky produced a Bakewell Tart from his pocket. There were some comments about sticky and his tart which I thought were rather unkind Eve!!! We sat and nattered. 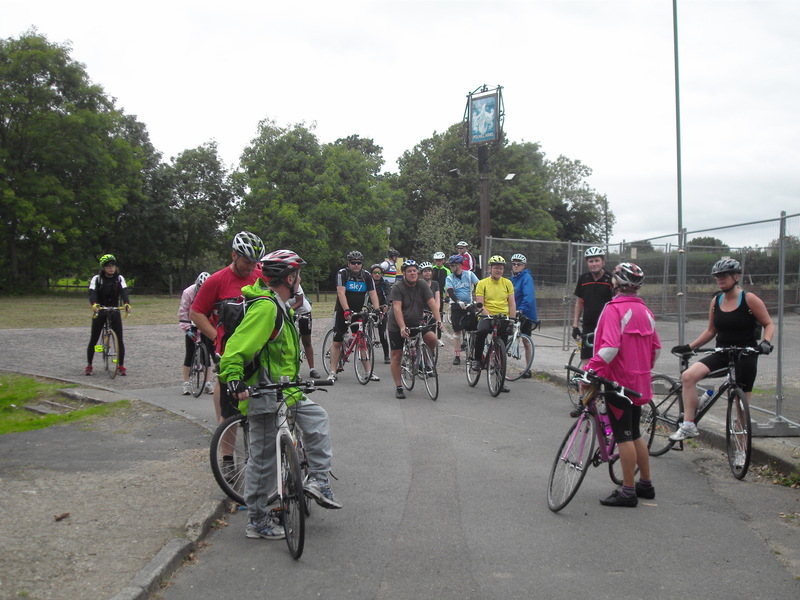 Eve made a point of chatting to all our riders and getting some names and contact details. 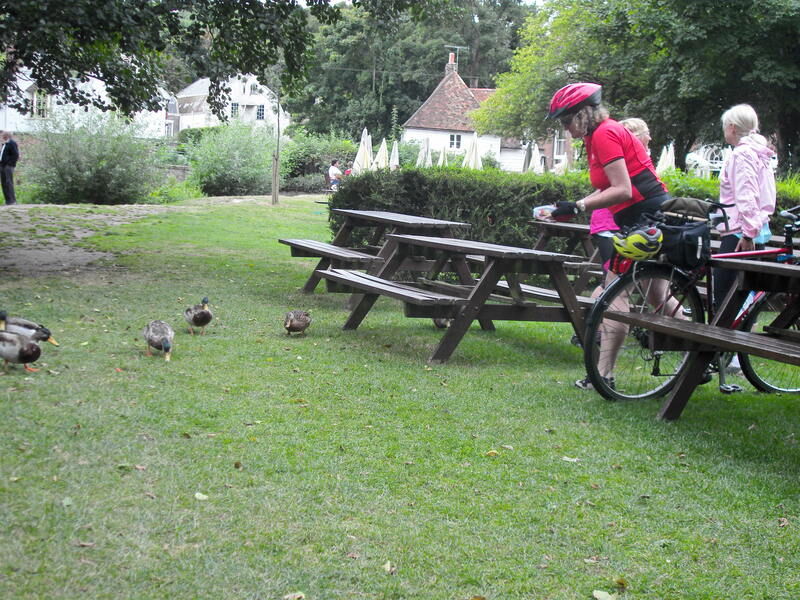 The ducks came up from the river and were duly fed – but not bread; apparently bread is bad for ducks. Hmm a new one on me, I wonder how many duck mortalities I have been responsible for down the years. It was quite cold in the garden and we were glad to be on our way again. The punishment for the Lion Hotel stop is a nasty little hill as soon as you restart. It’s quite short, but after a lengthy lunch stop it catches you out and takes a lot of hard effort. We certainly weren’t so cold after that little section of the ride. The wonderfully named Sparepenny Lane led us to the bottom of Crockenhill Lane where we turned towards home. Paul left the ride at the Lion so now we were twenty. 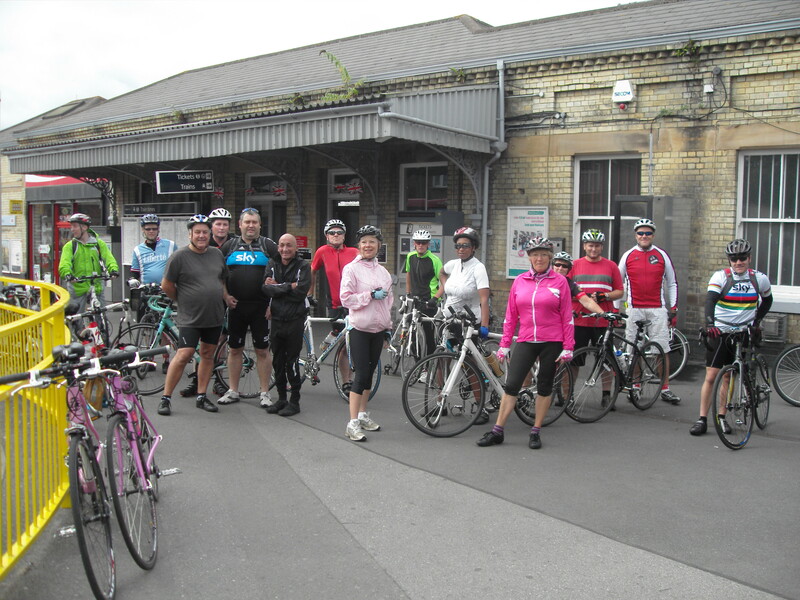 We arrived at Orpington Station at four o’clock and said our good byes. 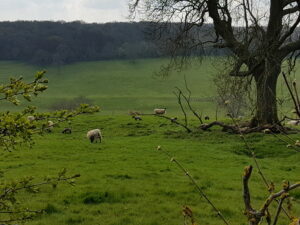 No-one had seen a woodpecker but we had all seen some lovely countryside. The weather had stayed dry but we missed the warmth of yesterday’s sunshine. Eve this was another fantastic ride, thank you very much for sharing it with us. Thanks also to Sticky and Ben for riding as Tail End Charlie and keeping the stragglers involved. More pictures on the Bromley Cyclists section of Yahoo Groups if you haven’t subscribed please do so.